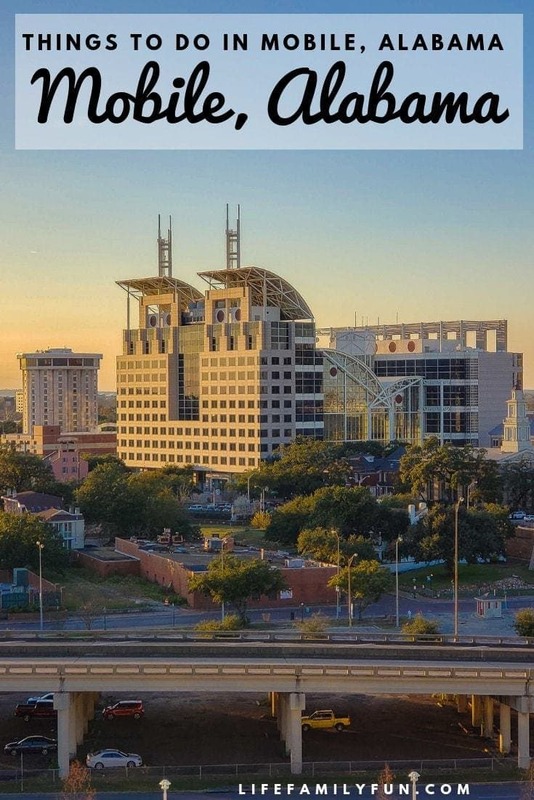 Did you know that there are tons of amazing things to do in Mobile, Alabama? Millions of people arrive annually to board their cruise ships at the port, but while there is downtime before and after your cruise, you should check out these amazing options and activities in Mobile! A big thank you to Visit Mobile for coordinating this visit. All opinions are our own. 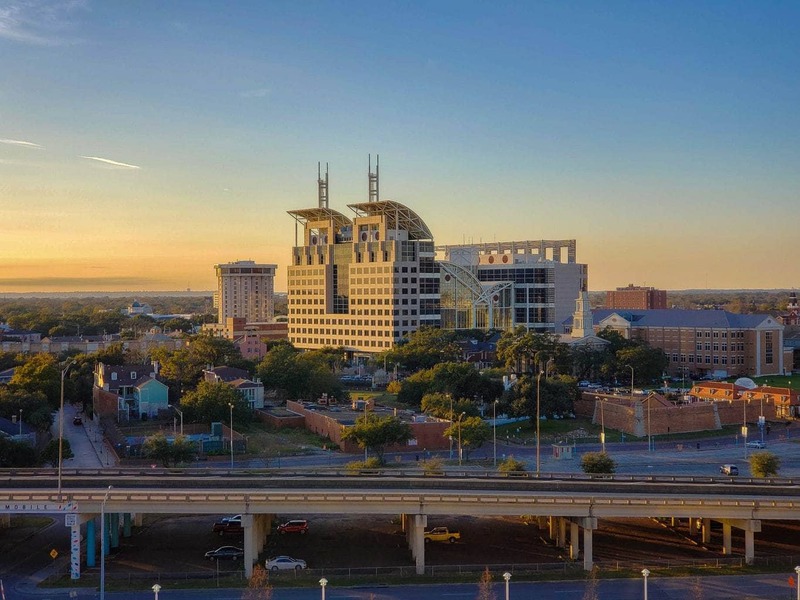 Mobile, Alabama is a beautiful coastal city that just happens to be home to the 12th largest and busiest cruise ports as well. Downtown Mobile is where history comes alive and the original birthplace of America’s original Mardi Gras. Every year, millions of tourists arrive at the city, ready to explore and see what it’s all about. While it may seem that a large portion of tourists is there for their cruise vacation, that couldn’t be further from the truth! 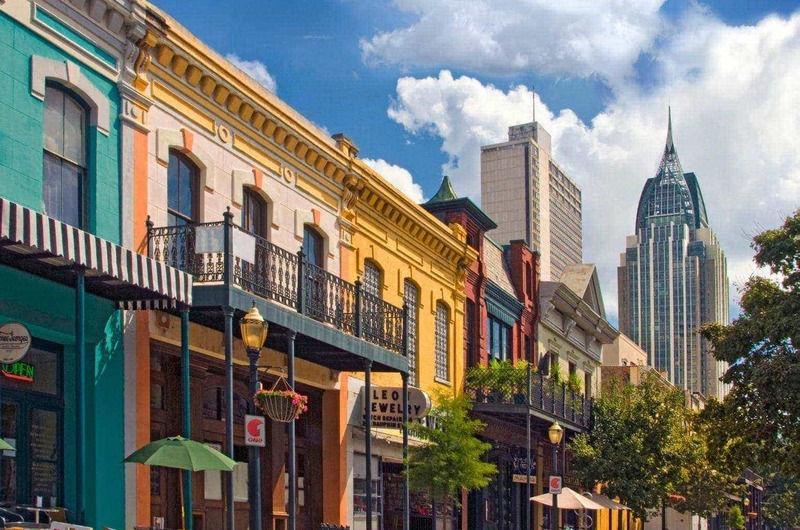 With the beautiful 300-year-old history and culture that Mobile has to offer, there is something exciting for everyone to explore. We spent a few nights in Mobile, AL before our cruise, and I know that our time spent in Mobile was too short. If your cruise happens to be what has brought you to Mobile, you’ll be welcomed from the city right from the start. The port is very active and busy and brings in a lot of tourism to the town. While you may have your cruise travel booked and planned, it’s important to fill your travel bucket list with items to do before or after your cruise, too! What can you do for free in Mobile Alabama? What are some fun things to do around Mobile Alabama during Christmas? What are some of the top Mobile attractions? What are some of the best restaurants in Mobile, Alabama? What cruise lines depart from Mobile? How much is parking at the cruise terminal? Is there a hotel in Mobile that offers “Sleep, Park and Cruise” packages? The Gulf Coast is known for having some of the most beautiful beaches and you won’t have to look hard to find one. Pack up a cooler and spend the day dipping your toes in the sand and water and enjoying the beauty of the coast. Free doesn’t get much more relaxing than that. In just about an hour, you can be in Gulf Shores or Orange Beach. There are few things in the world that are as fun and exciting as going geocaching. Who doesn’t love to find objects with few clues? Plus, the fact that it’s free makes it even more fun! Grab your walking shoes and hit the path to see just what kind of “hidden treasures” you can find. Walking down Dauphin Street reminds me a bit of New Orleans or Savannah. Many of the buildings are being renovated and repurposed. For miles and miles, you will find some fantastic restaurants, a variety of live music, galleries, and shopping. It has a great atmosphere and it beautiful lit up at night. Planning a visit to Mobile during the winter time? 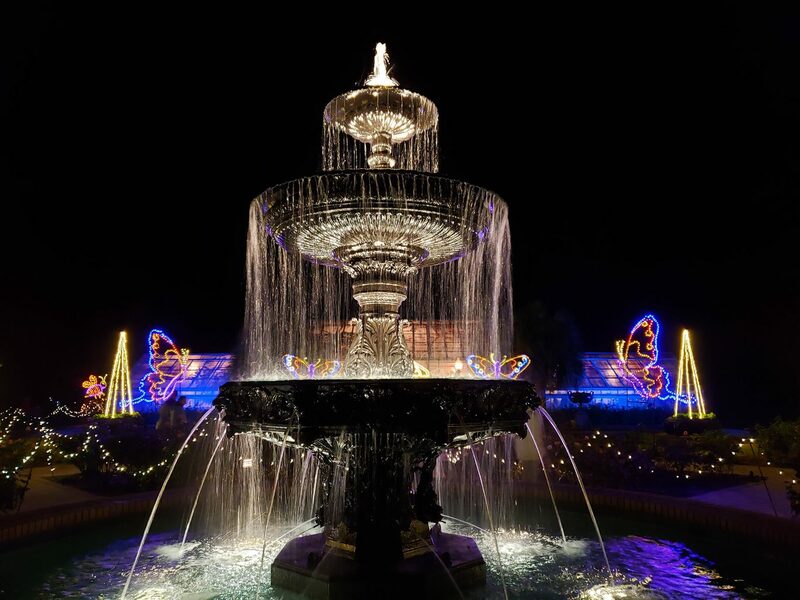 Starting at the end of November, the Magic Christmas in Lights at Bellingrath Garden and Homes is open to the public, and this is one light display you don’t want to miss. With over 3 million lights and 15 varying scenes, it’s certain to get you into the Christmas spirit and mood! It is about a thirty-minute drive from downtown Mobile but well worth a visit! The visit to the USS Alabama Battleship Memorial was one of our favorites. 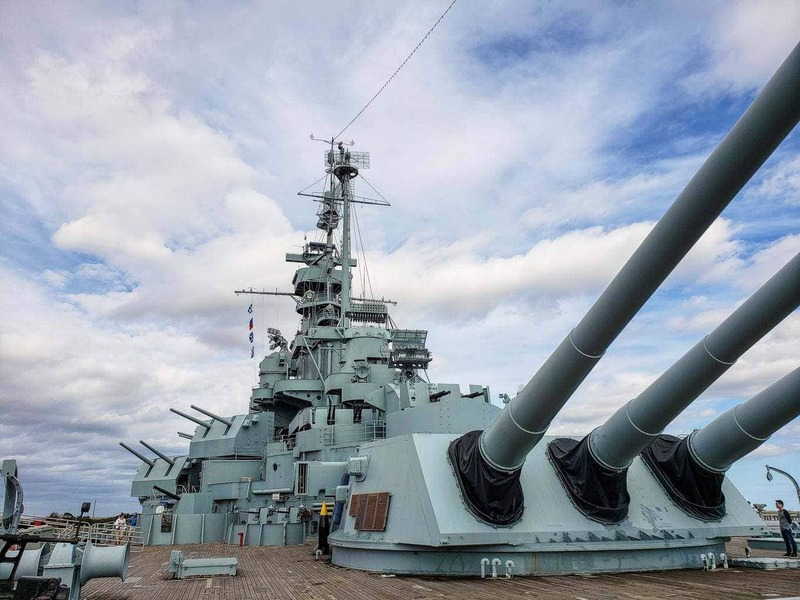 Nicknamed the “Mighty A”, you and your family can spend several hours learning about and exploring the inside of the USS ALABAMA Battleship. Over 680 feet long, it’s quite the sight to see. It’s hard to imagine that at one point in time, there were right at 2,500 crew members aboard! 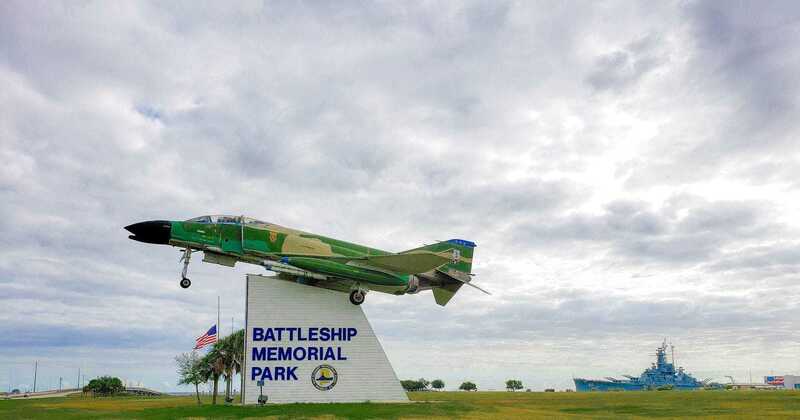 Planning a visit to the USS ALABAMA Battleship Memorial Park is a great way to learn about the history or our nation while getting to see and experience it first hand. 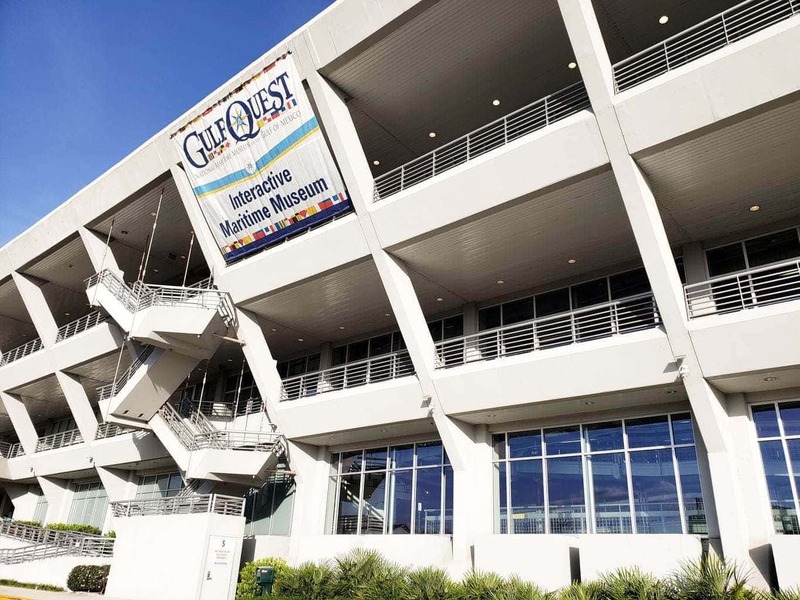 One visit to the GulfQuest National Maritime Museum may not be enough! There are literally over 90 exhibits to explore and interact with! 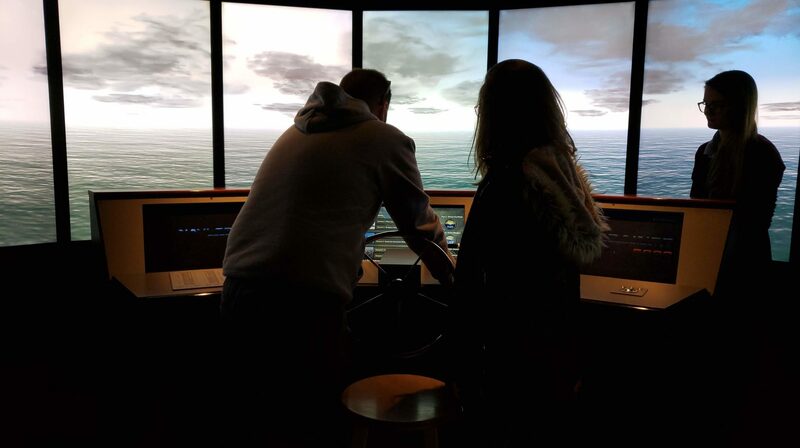 With over three levels of interactive exhibits to see and explore, you and your family will be learning and playing the day away with ease! If you love baseball, you’ll love this tour and museum! Not only are you greeted with the voice of Hank Aaron when you enter the home, but you actually get to see and explore where he grew up! Full of different items that were important to him and his baseball career, you’ll be in awe as you explore every room. If you like good food, you’re in for a real treat! Mobile is home to some of the best restaurants there are! With breakfast being one of the most important meals of the day, consider starting out at Panini Petes to really get your tummy prepped. There was also great buzz on the street that delicious taco joint that serves a quick and delicious lunch can be found at Roosters! You’ll never have oysters as good as the ones here, ever. 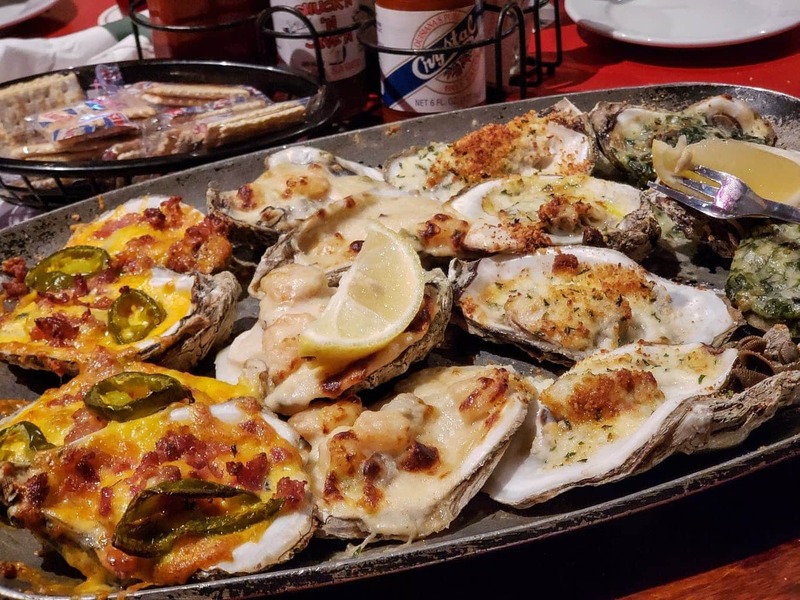 Founded in 1938, Wintzells’ Oyster House is the place to dine when you have oysters on the brain. We decided to start out with their Oyster Sampler. The sampler included four each of Oysters Monterey, Oysters Bienville, Oysters Rockefeller and Chargrilled Oysters. We certainly wanted seconds but decided to save room. 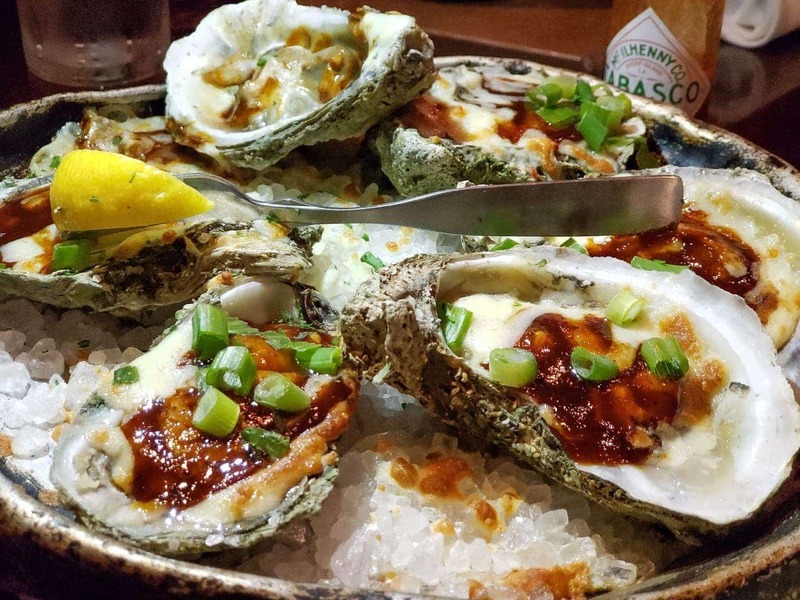 While they are probably most known for their oysters, you can’t go wrong with any of their delicious menu choices. Arrive early because it’s a popular place for locals and tourists alike! Our family waited almost an hour before we were seated, but trust me, it is worth the wait! 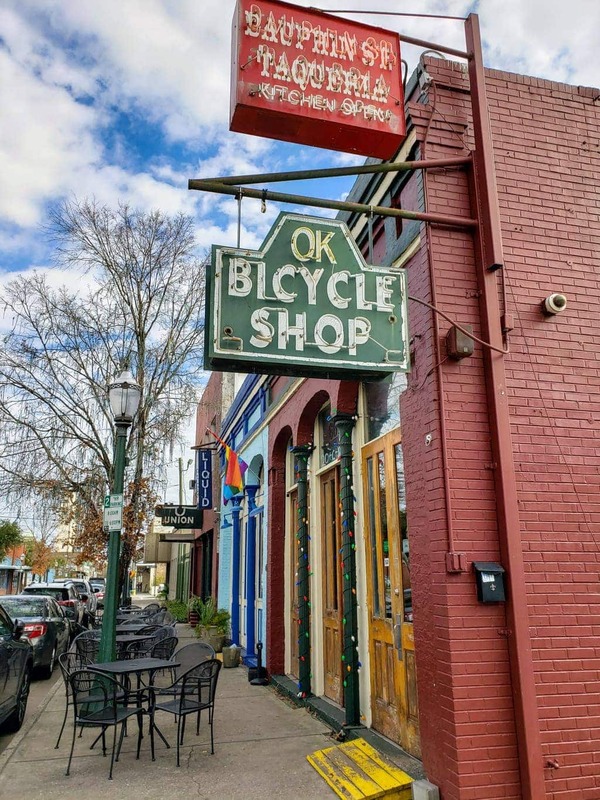 While the name has the word “OK” in it, the food at OK Bicycle Shop is definitely better than OK. The atmosphere is fun and it’s a great little bar that’s located in the heart of downtown. Their menu offers some delicious options, but I can vouch and say that their tacos were stellar! If you like dinner and a view, you’ll love your dining experience at Felix’s Fish Camp. Stunning sunsets, surrounded by delicious food? It’s the perfect way to end a day of exploring Mobile. Your taste buds will be in heaven by the delicious fish entrees to choose from, but I, of course, ordered Oysters! With the port being a main focal point of Mobile, it’s important to be cruise savvy as well! Carnival is the only cruise line that currently departs from the Mobile port each week. Itineraries may include Caribbean cruises usually 4- or 5-nights in length. If you are departing from Mobile for your cruise, figure in about $18 per day for your car to be parked there. While it’s not expensive for parking, it’s important to factor in all your costs and expenses. 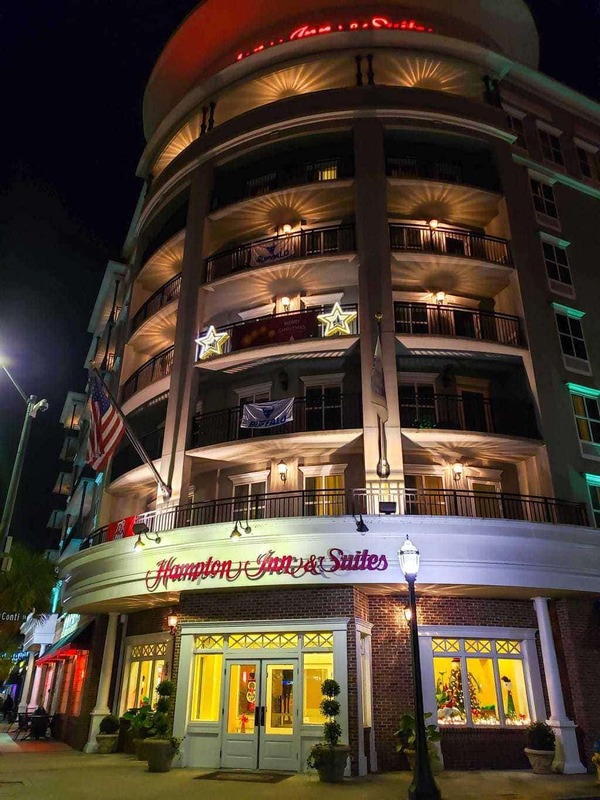 Hampton Inn & Suites Historic Downtown Mobile not only offers an amazing location to downtown and walking distance to Dauphin Street, but it’s full of great amenities like free breakfast, excellent customer service, and hospitality. Ask them about their “Sleep, Park and Cruise” package offers! There are so many things to do in Mobile, Alabama that you’ll definitely want to plan at least two advanced days before or after your cruise so that you can explore everything! 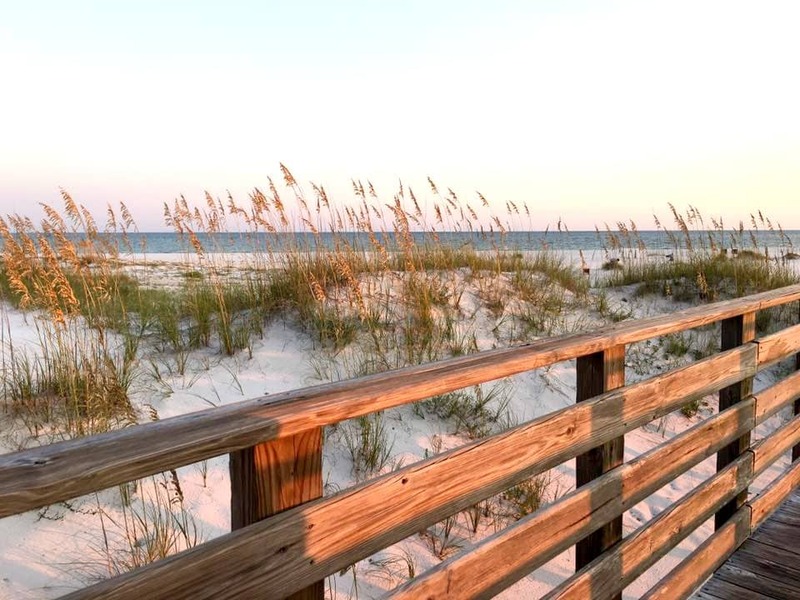 Mobile is a wonderful family-friendly community or a great place for couples to plan a getaway as well. If you have an upcoming cruise planned, make certain to explore everything that Mobile, Alabama has to offer!